Administrative expenses, also called office-related expenses, are often regarded as necessary evils. Businesses cannot do without them but cannot see how they can directly contribute to productivity, competitiveness, and profitability. 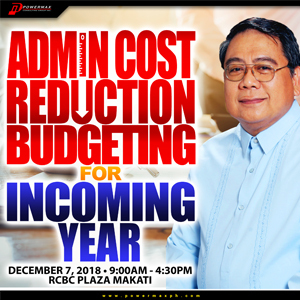 This is a course on how to control and reduce administrative costs without disrupting operations, while at the same time improving office productivity and contributing to the organization’s mission. elements, and that a failure in any causes mistakes, high costs, and delays. for improving office productivity and efficiency. Facilitated Total Quality Management Kaizen/Just In Time training and implementation in Manila Elctric Company (Meralco),Oriental & Motolite Corp (formely Ramcar Carparts Manufacturing) St. Lukes Medical Center., Bayan Telecommunications, Inc., Lepanto Consolidated Mining Corp., and many other companies. Facilitated Strategic Planning process for Vishay Electronics, Canon Marketing Philippines, Petron Corporation Bataan Refinery, National Telecommunications Commission, Maxicare Healthcare Corp., Philippine National Police Training Service, etc. Served as TQM Adviser to the National Telecommunications Commission under a USAID Technical Assistance Project. 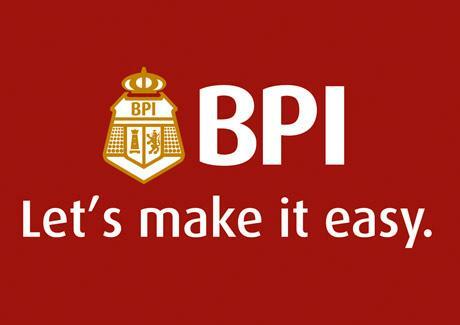 Account Name: Powermax Consulting Group Inc.
Official Receipts are to be given on the day of the seminar. To avail of the EARLY BIRD DISCOUNT, payment should be made no more than five (5) days after registration. For the seminar fee to be refunded, cancellation should be made not less than four (4) days before the date of the workshop. Certificates will be given only to those who have actually attended the seminar. Those who register and pay but will not attend the workshop will be given handouts but not certificates. The materials for this seminar are protected. Any form of audio, video or image recording of the seminar or PowerPoint slides used by the speaker is strictly prohibited. Only the handouts will be given by the speaker. He / she is not obliged to provide a copy of other training materials like the Powerpoint file. 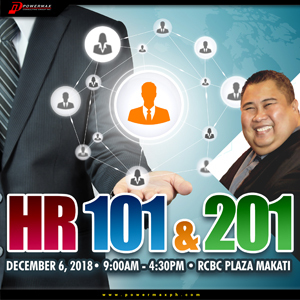 Companies / Organizations / Individuals with business(es) competitive with the businesses of Powermax Consulting Group (i.e., seminars, training, consultancy, and the like) are not allowed to register unless with written consent by the management of Powermax. Full disclosure of business line in registration is required. If anyone registers without full disclosure, and it is discovered that his business or one of his businesses is competitive with that of Powermax, his registration will be forfeited. 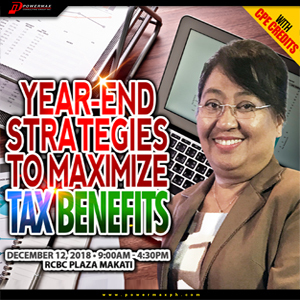 If the seminar is cancelled because of unusual or unforeseeable circumstances or force majeure, Powermax will either refund the seminar fees paid by the participants / participating companies (but not the incidental costs such as transportation, plane tickets, hotel accommodation, per diem, and the like) or roll over the payment for other seminars of Powermax (provided that the seminar fee is the same or the difference will be rectified) depending on the preference of the participants / participating companies. Upon reservation, your seat(s) will be reserved but there will be no seating arrangement. Preferred seats will be on a first-come first-served basis. 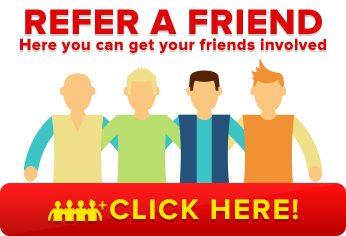 (02) 470-1055 to ensure your seat is reserved to this program.